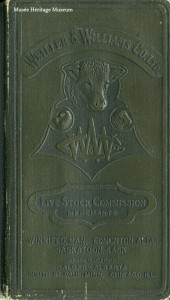 Weiller & Williams Co. Ltd. was incorporated on December 11, 1925, with Henry Weiller looking after the company’s finances and Lee Williams supervising the frontline operations. While the company dealt mainly with cattle, they were chartered to buy and sell, import and export, and slaughter hogs, sheep, poultry, and all other livestock and livestock products. 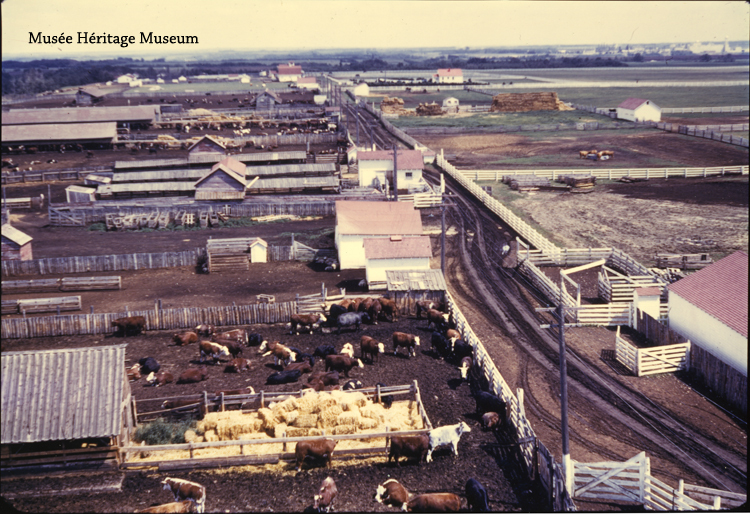 As their business expanded, Weiller & Williams Co. Ltd. acquired ranches and farms to carry on the trade of livestock rearing and manufacturing. By 1927, in addition to the main office in Edmonton, the company had introduced branches in Calgary, Winnipeg, Saskatoon, Lloydminster, and St. Paul (Minnesota), Chicago (Illinois), and Fargo (North Dakota) in the United States. Lee was a mover and shaker in the cattle business from the beginning of his career. 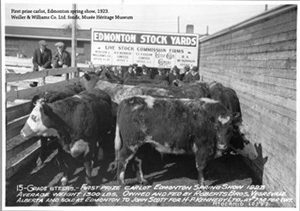 In 1912, he moved from New York to Edmonton to work for Swift & Company working his way up from construction to livestock purchases. In 1916, Swift Canadian Co. transferred Lee to Winnipeg where Henry Weiller recognized his talent in the field. 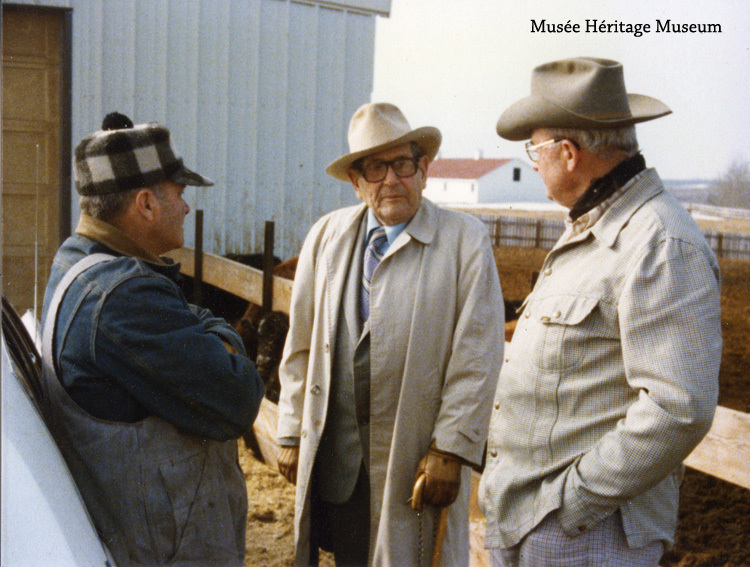 A year later, Lee began working with Weiller in a livestock commission business named, Wood, Weiller & McCarthy. In 1925, the resignation of partner, McCarthy signaled the start of Weiller & Williams Co. Ltd. Following Weiller’s passing in 1956, Lee took on both the administration and frontlines of Weiller & Williams Co. Ltd., and continued the company’s legacy for nearly 30 more years. 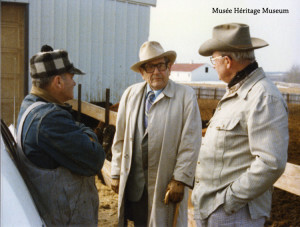 He was a highly respected cattleman and business mogul, known to finalize hefty financial agreements with nothing more than a handshake while remarking, “a man’s word is his bond”. In a letter addressed to one of his grandsons, Lee confessed that he initially sought after a career in veterinary studies at Cornell University, which could offer some insight as to how deeply he cared for his horses. 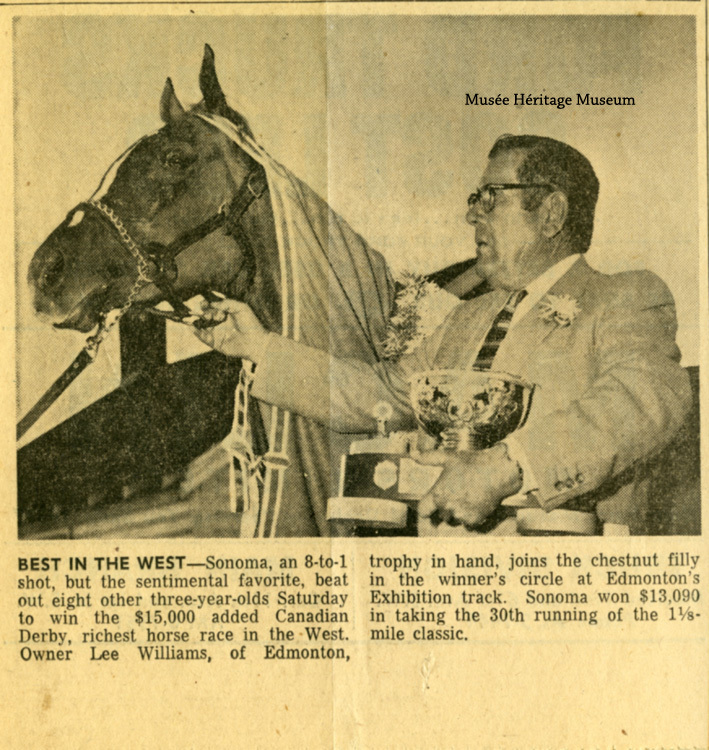 Alongside his work for Weiller & Williams Co. Ltd., Lee was an adamant horse enthusiast, and was known for his contributions to various organizations including the Horsemen’s Benevolent and Protective Association and Canadian Thoroughbred Horse Society, just to name a couple. The Weiller and Williams Co. Ltd. fonds consists of an audio recording with narrations recalling two of Lee’s most successful horses, Frank’s Mistake and Air Cadet. You will hear the story of how Lee came to purchase Frank’s Mistake and with him won the 1949 Western Canada Handicap (sampled in the audio below), followed by the live commentary from Air Cadet’s victory at the 1949 Polo Park Handicap. While Lee was a sufficiently busy man, his family was of great importance to him. 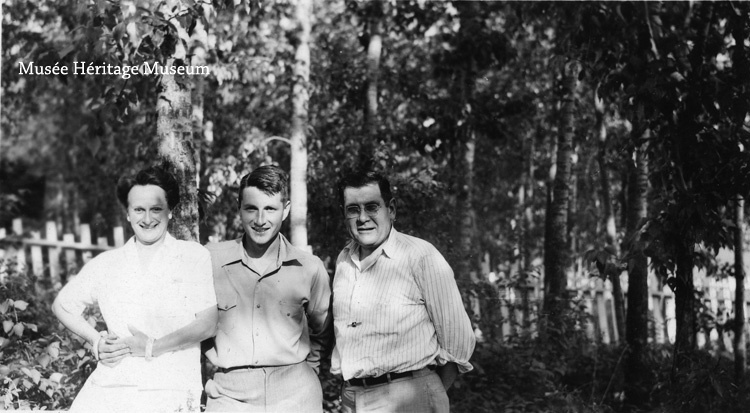 Lee and Marion stuck by each other through the hardships of running a company in the agricultural industry during the Great Depression, through Lee’s many ventures in horse breeding and racing, and when their only son, Jack was welcomed into the world. The collection includes photographs and video footage of Lee spending time with his family both on and off of the ranch. Through Jack and his wife, Helen Quigley, Lee and Marion had 5 grandchildren – Leland, Mark, Jack, Julie, and Janet, who grew up in the Rochester, New York area. 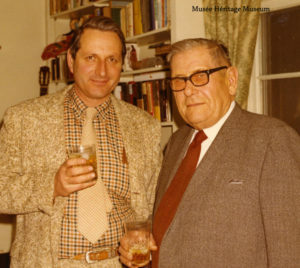 Lee Williams was one of the two sons of William E. Williams and Clara Riudavets. 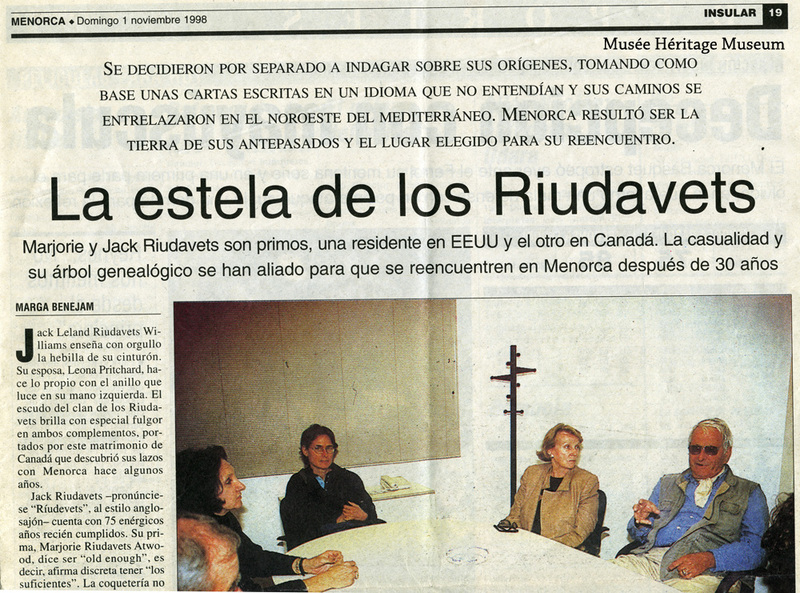 Lee’s own son, Jack went in pursuit of his ancestry, and visited a village in Spain called Menorca to bond with relatives from Lee’s mother, Clara Riudavets’ side of the family, an event, which was captured by Menorca’s local newspaper at the time. 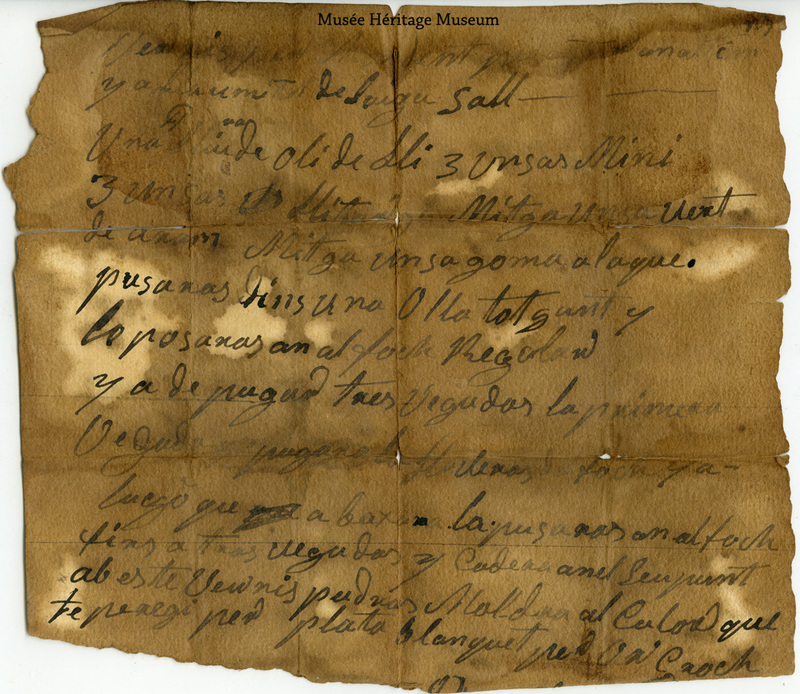 The Weiller & Williams Co. Ltd. fonds and collection include numerous items depicting the Williams-Riudavets genealogy including family trees and letters written in Catalan from as early as the 1700s. 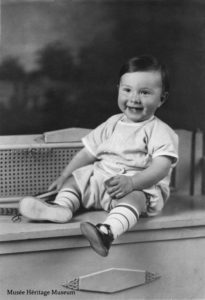 Jack Leland Riudavets Williams, born October 25, 1923, was the only son of Lee and Marion Williams. 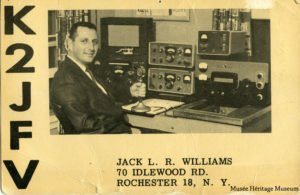 While he did not carry on his father’s livestock business, Jack followed his own passion in both photography and chemistry, eventually becoming Senior Division Head of Kodak Research Laboratories, Chemical Division in Rochester, New York. Like his father, he had a hobby that occupied much of his time – moon-bouncing radio signals from his 2 call signs K2JFV, USA and VE6JW. Despite their different interests, Jack had a close relationship with his parents, who were very proud of him. 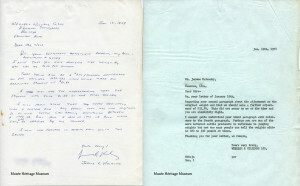 Lee compiled scrapbooks documenting many of Jack’s achievements through the years, from his high school badminton tournaments to his months spent in the navy. Jack expressed the same sentiment towards his father by collecting the feathers of various birds around the Namao ranch, and requesting to have them displayed in the “Sonoma Cup”. 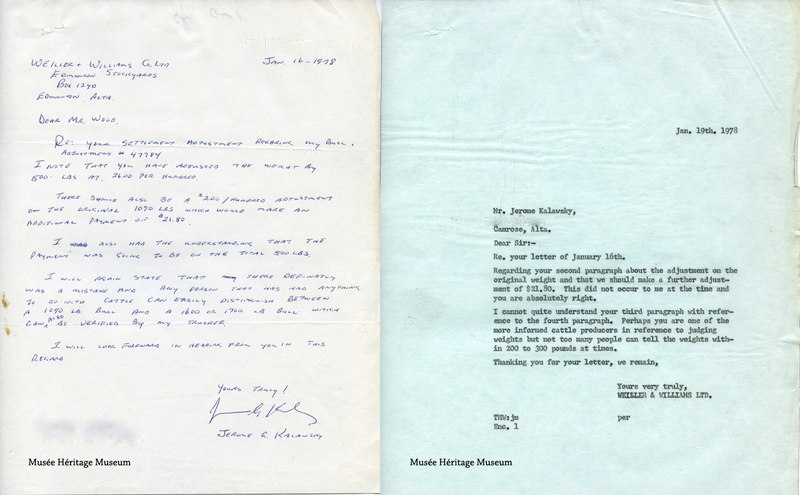 The Musée Héritage Museum thanks Jack’s life partner, Leona for her generous support. We sincerely hope that you enjoy the Weiller & Williams Co. Ltd. exhibition, which will be open from Sept. 20, 2016 – Nov. 13, 2016. 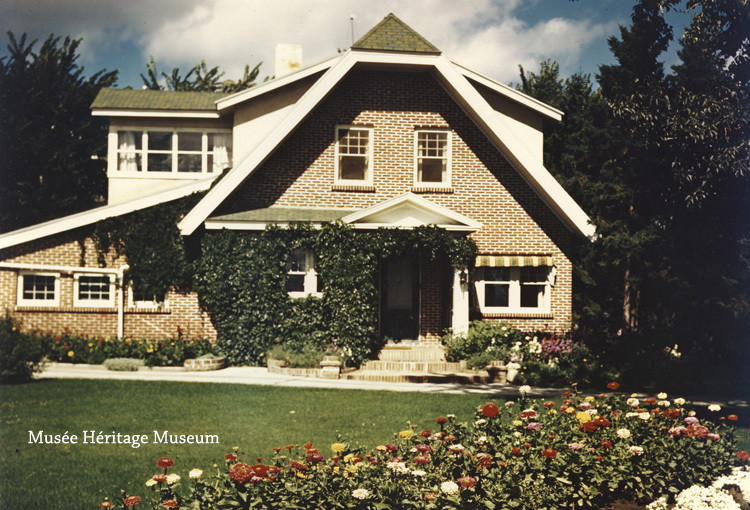 The Musée Héritage Museum is proud to showcase an exceptional collection of artifacts and archival materials from the Weiller & Williams Co. Ltd. In early 2015, the Musée Héritage Museum harvested Weiller & Williams Co. Ltd. fresh from the ranch in Namao, AB. 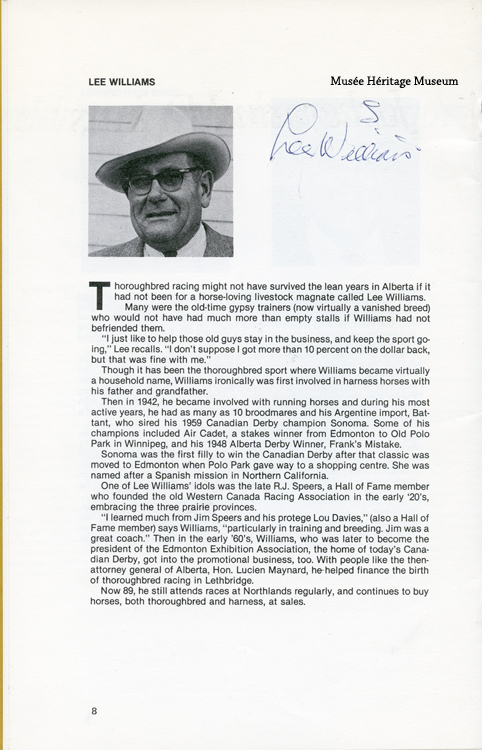 The ranch was originally owned by the principal of the company, Leland “Lee” Williams, inherited by his son, Jack, and then by Jack’s life partner, Leona Pritchard. Leona, realizing the importance of what she had inherited, approached the museum to ensure the proper preservation of this amazing donation and all of the stories it has to tell. 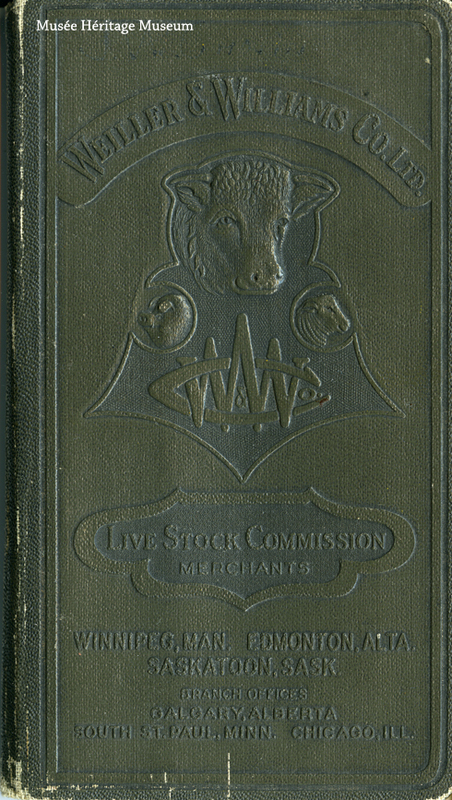 This cattle commission company was one of the oldest of its kind in North America. 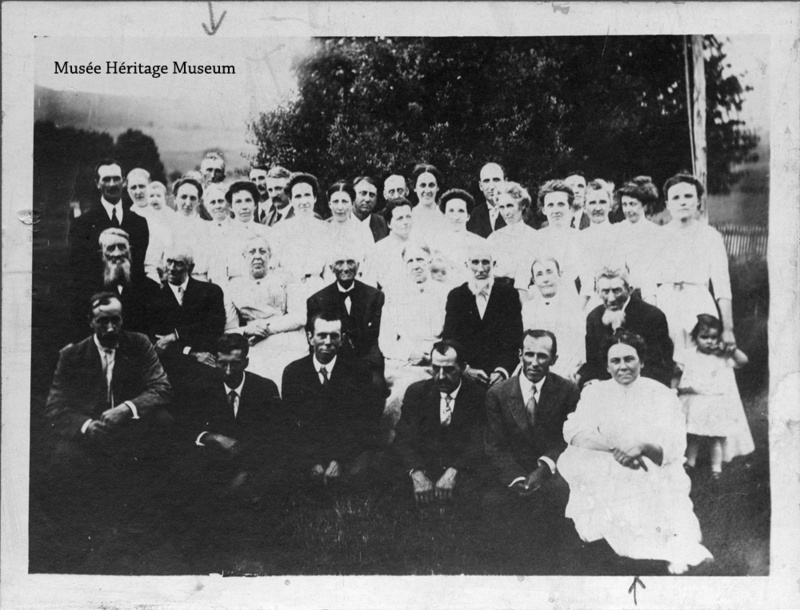 However, the collection is so much more than the livestock business, and includes everything from typewritten letters and financial reports, to maps and certificates, to family photo albums and antique ceramics and glassware. After ninety years, Weiller & Williams Co. Ltd. has found a new home in the Musée Héritage Museum. The museum undertook the task of acquisitioning, processing, and preparing every article, record, and object with the utmost care. The records form the Weiller & Williams Co. Ltd. fonds in the archives and the artifacts form the Weiller & Williams Co. Ltd. collection.